Really weird, doesn't seem to happen when the tablet is stressed or something. On the other hand happened more often with heavy memory stuff like big pdf's and when i live youtube videos loading, maybe I have an issue with the 2 gig's of ram? it's there any way i can test that? Sometimes the tablet isn't doing anything an restarts. Like when the home screen is blocked. Anyone else had this problems? 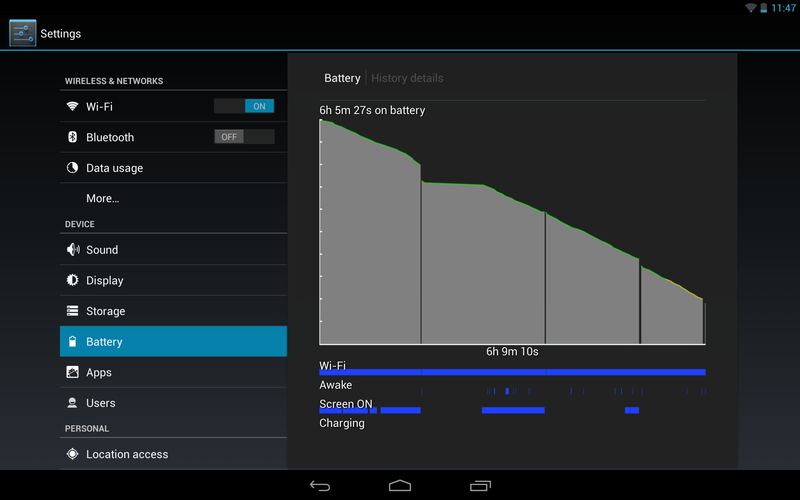 I would suggest you try flashing the nexus 10 factory restore image and see if that fixes things. If it's still randomly rebooting I'd send it in for a replacement. Guys, I think found a pattern: Each time I get a reboot seems to be related to the wifi connection, like if the wifi freezes the tablet. Pay atention to the wifi settings when you get reboot / restart the tablet it's like searching the wifi connection like crazy, but, if you reboot normally the wifi it's already connected. Seems like a clue to me. I played like 4 hours yesterday Chaos Rings. Seems like a really advanced game to me, so the stressing test is passed. It's not related to stress IMHO. I've been getting random reboots too. Took several attempts to get all the way through setup right after taking it out of the box. At first I thought maybe I just hadn't given it enough time to acclimate to ambient temperature or something, but problem has persisted even after flashing the factory image via fastboot. Haven't noticed a correlation with wifi, but does seem to happen mostly when idle. Have also had a couple freezes and shutdowns, too. Guess I'll be calling Google this morning... Argh. Called Google, and after being on hold for almost 1/2 hour (I'd imagine they're pretty swamped) explained the issue as well as what I've already done to try to resolve it (factory reset, fastboot recovery image flash) and they started the replacement process without any additional questions. Just my luck, the first time in ages that I buy a device the day it comes out, I end up with a dud... Hopefully I get the replacement quickly!